Nutrition is an important aspect in athletic performance. 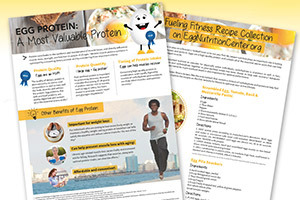 Download these shareable videos, graphics, handouts and recipes to help promote the power of protein and eggs. 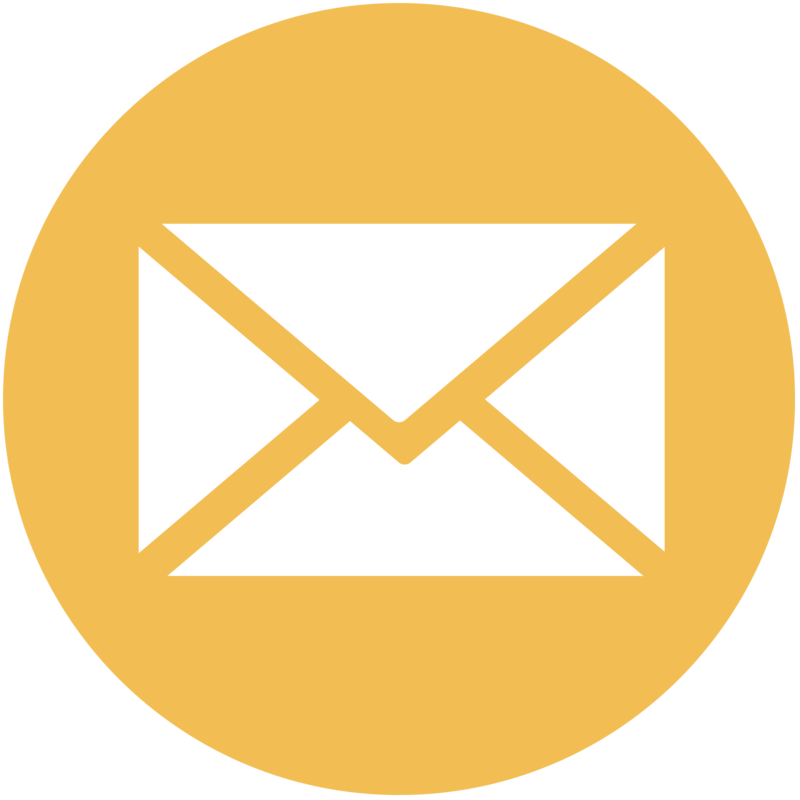 The Egg Nutrition Center partnered with Natalie Rizzo, MS, RD to write this blog post. Eggs have a unique nutrition profile that is great for athletes of all ages. While they make a nice addition to any meal of the day, the nutrients in eggs can help with recovery after exercise. Just as stretching and cooling down is important after a workout, recovery nutrition is vital for repairing worn down muscle and revitalizing energy stores. But it’s not just the protein in eggs that make them a recovery food. Let’s take a look at the plethora of nutrients in eggs that help refuel a healthy athlete. 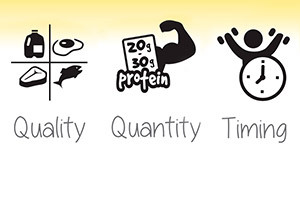 Protein: Research indicates that eating 20-30 grams of protein from foods that include leucine, such as eggs, may promote muscle repair after exercise1. One large egg contains 6 grams of high-quality protein with all nine essential amino acids. The International Society of Sports Nutrition recommends athletes focus on whole food sources of protein that contain all of the essential amino acids to aid in muscle protein synthesis2. Vitamin D: This micronutrient is critical for bone health, and research suggests that adequate vitamin D intake reduces the risk of stress fracture, total body inflammation, illness, and impaired muscle function3. Unfortunately, adequate vitamin D intake is difficult to achieve due to variations in skin color, the time spent outdoors and geographic location. Eggs are one of the only natural food sources of vitamin D, with one large egg containing 6% of the daily value. Lutein: This antioxidant has been known to accumulate in the eye, and scientists have recently discovered that it’s also present in the brain. Lutein in the eye may help athletes with visual performance and protecting the retina from damaging light4. Plus, new research in children suggests that lutein could have cognitive boosting capabilities and may even improve academic performance5. Luckily, lutein bioavailability is enhanced when it is consumed with dietary fat, making lutein from eggs a more absorbable source of lutein than many other foods6. Eggs are affordable. One egg only costs about 15¢, which is quite the nutritional bang for your buck. They are quick to cook. You can cook up an egg in less than 10 minutes, which will quickly satisfy a rumbling tummy and tired muscles after a tough workout. Eggs go with practically anything. 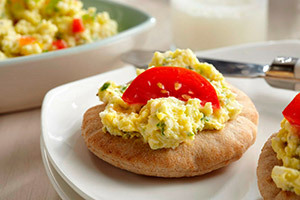 You can put an egg on almost anything— pizza, pasta, grains, bread, oatmeal, veggies and more! Optimal recovery protocols for athletes are critical to physical performance. Athletes and coaches often ask: What should an athlete eat after a workout? 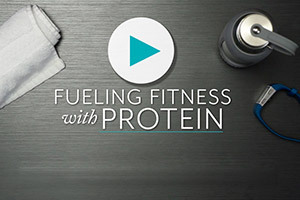 How much protein does an athlete need aft er a workout? What are easy and affordable options for post-workout recovery nutrition?